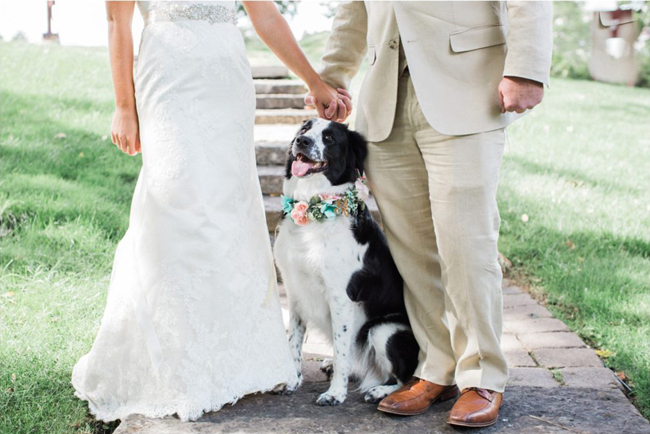 Lauren and Ryan tied the knot on a beach in Mexico, but they wanted a celebration back home for all their family and friends who couldn't be with them abroad -- including their adorable dog Stella. 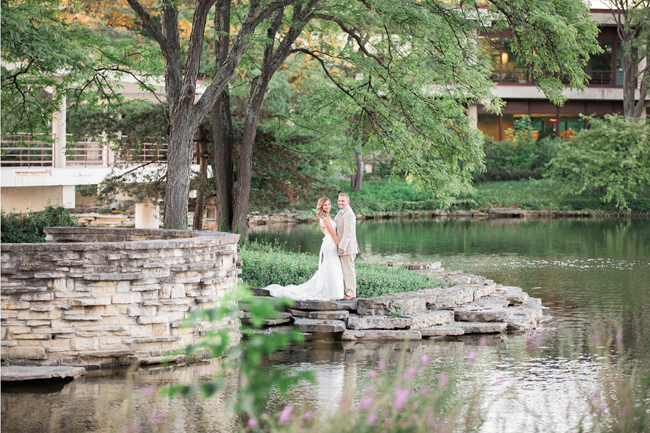 The Hyatt Lodge, nestled in the woods of Oak Brook, was the perfect setting, with tons of great photo opps, a wonderful ballroom, and scenic views throughout. 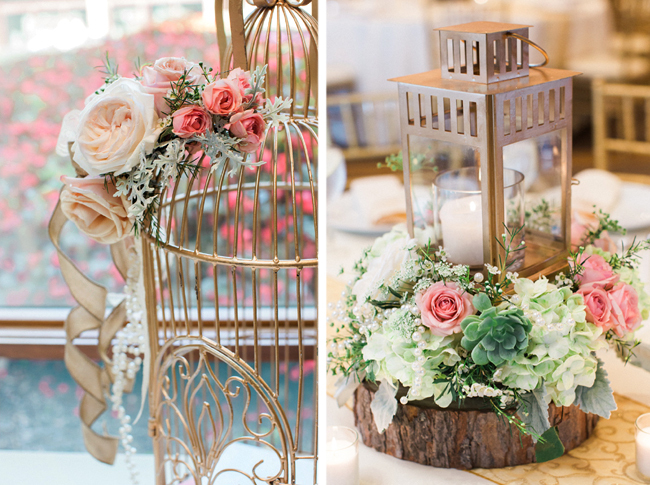 Lauren selected a rustic mint, blush, and gold theme, with lanterns, votives, and candles floating in glass. 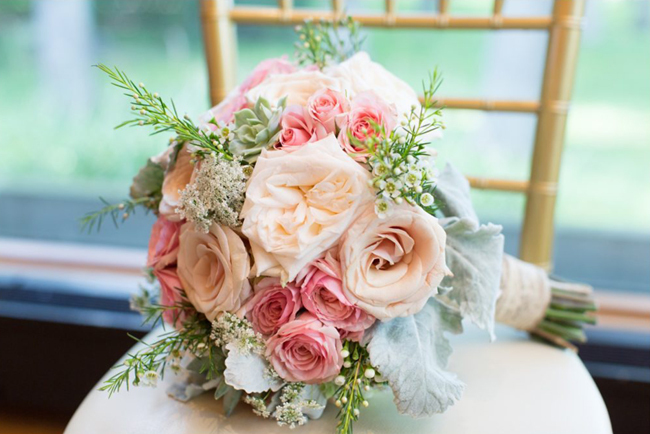 Her floral designs featured roses, hydrangea, succulents, Dusty Miller, and natural botanical accents. Guests danced the night away to great music by the Hey Jimmy band, and Stella had a blast. It was such a fun evening with all the right touches. 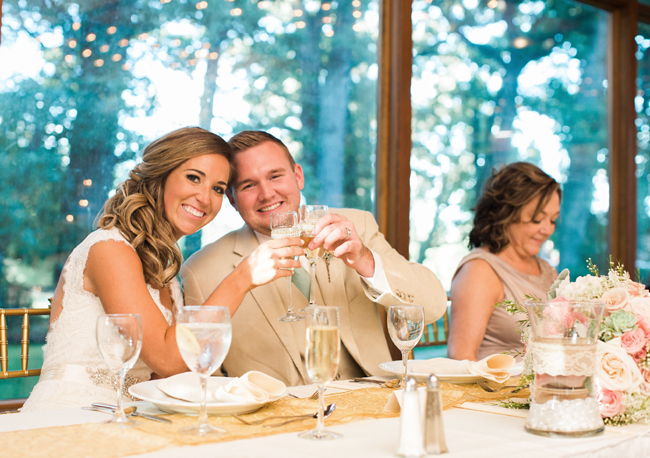 See more of this beautiful couple at One July Photography. Thank you Laurean and Ryan for allowing us to be part of your awesome celebration!